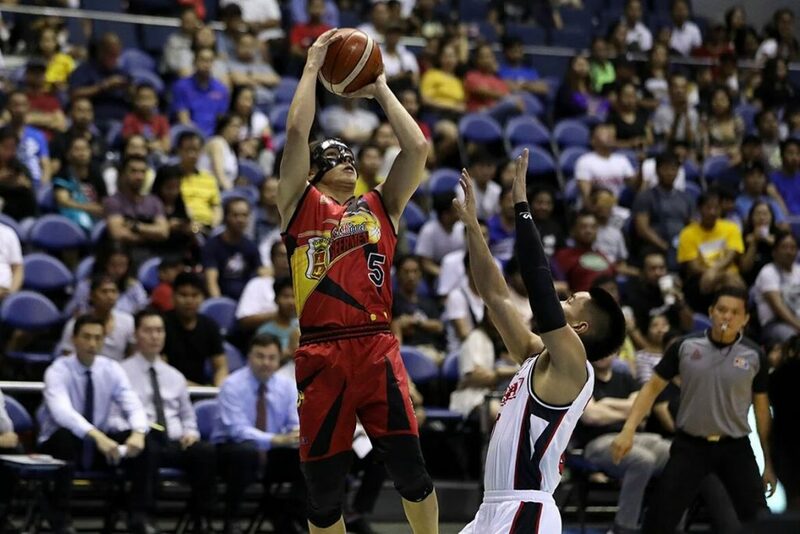 San Miguel Beermen got its bearings going in the second half to score a 114-96 victory over Alaska Aces in the 2019 Honda PBA Philippine Cup on Sunday night at the Smart Araneta Coliseum. Alex Cabagnot tallied conference-high 31 points, while Christian Standhardinger made his return from injury to finish with 23 markers for the Beermen, which improved to 7-4 win-loss slate. Currently at no. 5, the defending champions can move up in the standings come playoffs time if ever Barangay Ginebra San Miguel Kings (6-3) will drop at least one of its two remaining matches. Down by as much as 10 points in the first half, the Beermen turned things around in the third quarter behind Cabagnot, Standhardinger and Pessumal en route to leading by as much as 21 points. The Aces, however, countered with a run to come to as close as 90-103 but the Beermen came up with timely conversions from Arwind Santos and Standhardinger to increase the lead back to 20 points. San Miguel Beermen’s Alex Cabagnot pulls up for a jumper against an Alaska Aces defender.